Is Your Roof Ready For Hail Season in 2019? Hail season can leave a lot of homeowners calling for emergency roof repair in Johnson County. Hail can damage your roof in several different ways, and for this Johnson County roofer, ensuring homeowners are ready for the upcoming hail season is a priority. It is a commonly known fact that when hail hits your roof the damage that is done to your asphalt shingles is irreversible, and the only remedy is to replace the roof or shingles individually. The best roofer in Johnson County is here with a hail storm and damage facts to ensure you won’t be calling for a new roof in Johnson County. Is your roof ready for hail season in 2019? Johnson County roofing companies are committed to helping homeowners with their hail damage no matter how large or small. 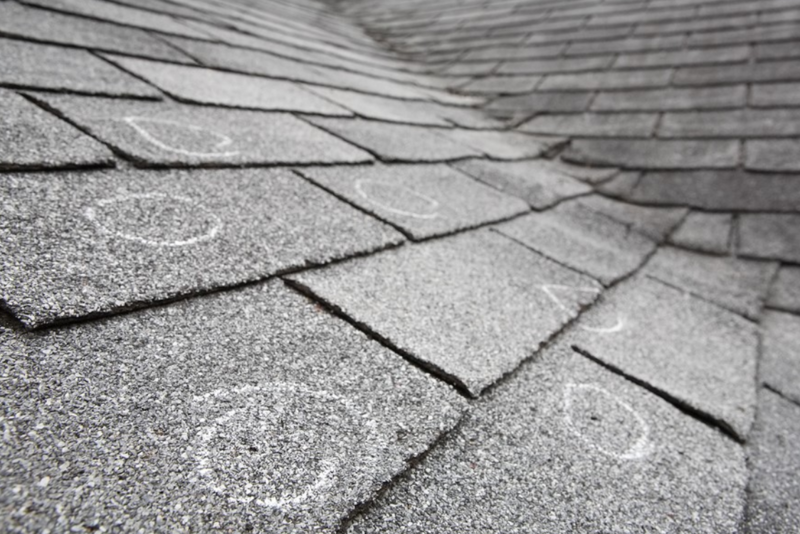 Ensuring your roof is healthy and ready for hail season is always the first step. Call your premium Johnson County roofing contractor today for a roof inspection as winter transitions into spring. Through the years Shamrock Roofing has serviced roof repair in Johnson County, they know that hail damage is a common concern for homeowners, and they are here to ensure your home and roof is safe and protected. Regardless of size, hail can seriously damage your roof’s shingles. When light hail is accompanied by strong wind, the damage left on your roof can be equal to the damage from much larger hail. Hail damage is not visible from your ground level. In order to properly check that your roof is need of roof repair due to hail damage, you will need to call your residential roofing contractors in Johnson County for a thorough roof inspection. This Johnson County roofing company are here to ensure your roof is ready for the storms to come! It is important to have your roof inspected by a roofing contractor before you contact your insurance company. The contractor you use should be licensed and insured and will take photos of the damage. This should all happen before contacting your insurance company.